Kuala Lumpur is a large and well-developed city in South East Asia and is the capital of Malaysia. The city has a mix of cultures and religions with Malay, Chinese and Indian being the main. 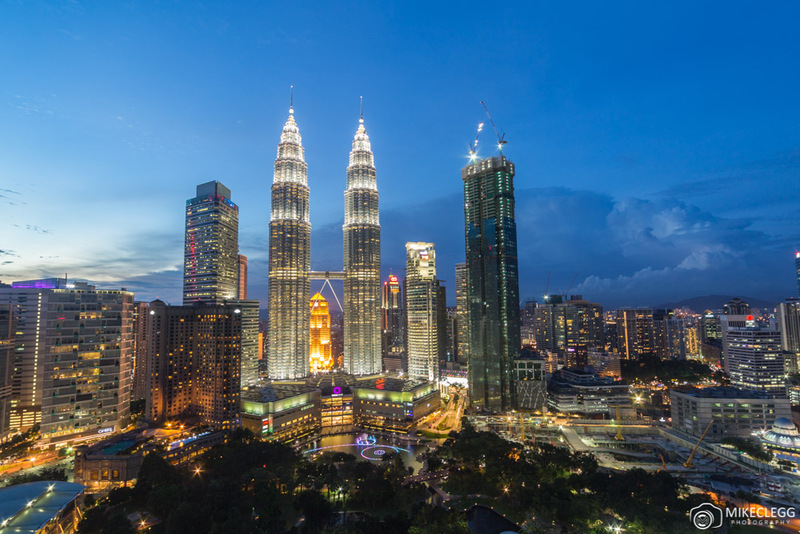 The design of the city is also mixed, with modern almost futuristic architecture such as the Petronas Towers, to historic temples, mosques, high rise apartment buildings and old houses. Kuala Lumpur would be a good destination to visit for a stopover between flights, or for a short city break such as 24-48 hours. 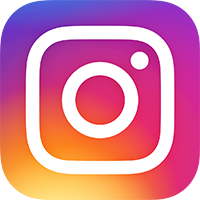 In this guide I will give you information on getting around the city, suggestions on things to see and do, ideas on places to eat, destination photography tips and more. You can see many of the main attractions in Kuala Lumpur within 24-48 hours. You’ll find some of my favourite attractions and things to do below, but head to my post Top Things to See and Do in Kuala Lumpur for lots more suggestions. 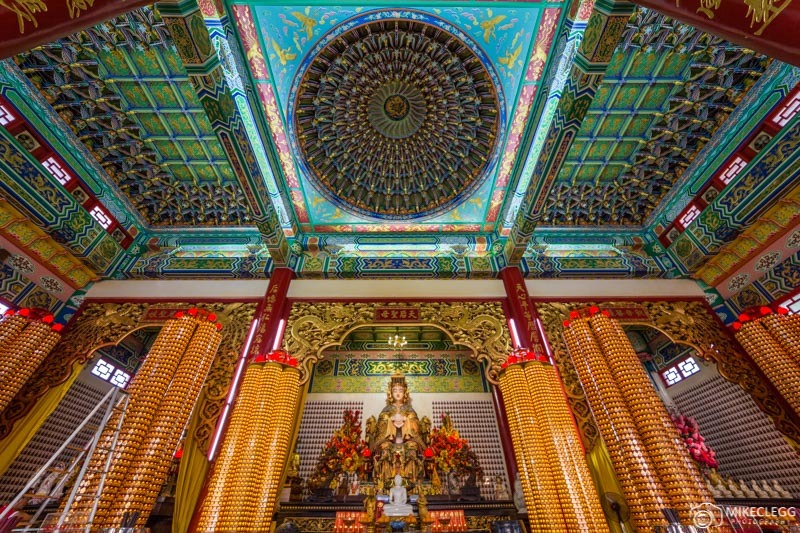 One of the most beautiful temples in the city is the Thean Hou Temple, which was built in 1989 and commemorates the Goddess of Thean Hou. Throughout the temple, the architecture is incredibly intricate and detailed, and it would be easy to spend some time just admiring it. Inside the temple you’ll find long beautiful candles containing slots with peoples names on, and if you also contribute you should get some good luck. As well as these beautiful interiors (such as below) the outside is nice too with various sections at different heights. When I was there they also had 100’s maybe even 1000’s of lanterns hanging over the main courtyard. 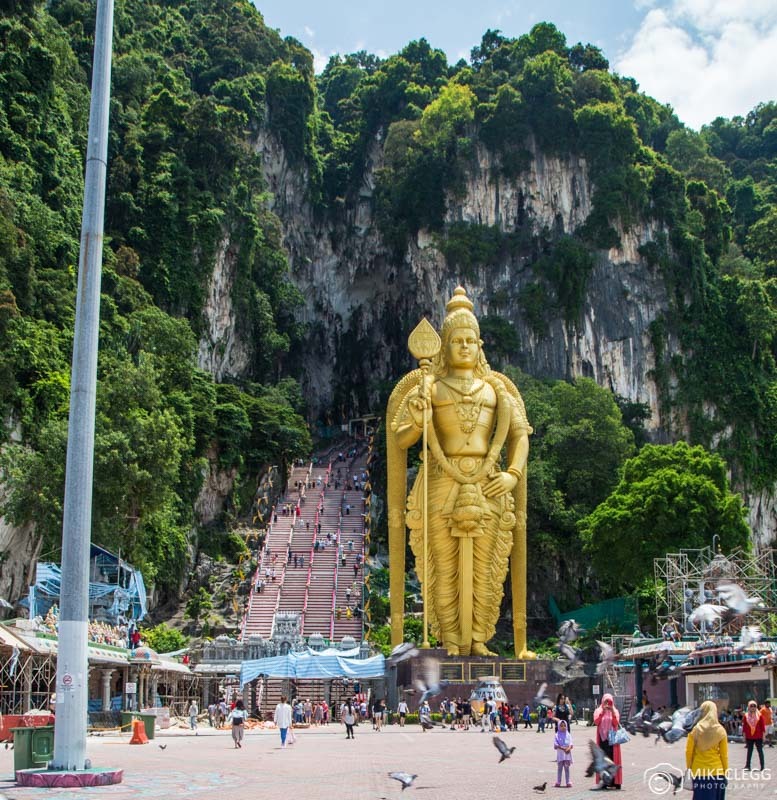 A great attraction outside the city is to visit the Batu Caves. Here you’ll find Hindu Shrines and also the Dark Cave which is home to the rare Trapdoor spider and lots of other nocturnal creatures. The Batu Caves were created around 400 million years ago and the shrines are an important location for the Hindu Festival of Thaipusam in Malaysia. One of the highlights is that towards the entrance is a huge 42.7-meter high deity statue called Lord Murugan, which is one of the highest such statues in the world. It’s also free to visit the main caves such as the huge Cathedral Cave. Dark Cave Adventure Tour price:RM 80 + GST (Should be booked in advance and on weekends only). 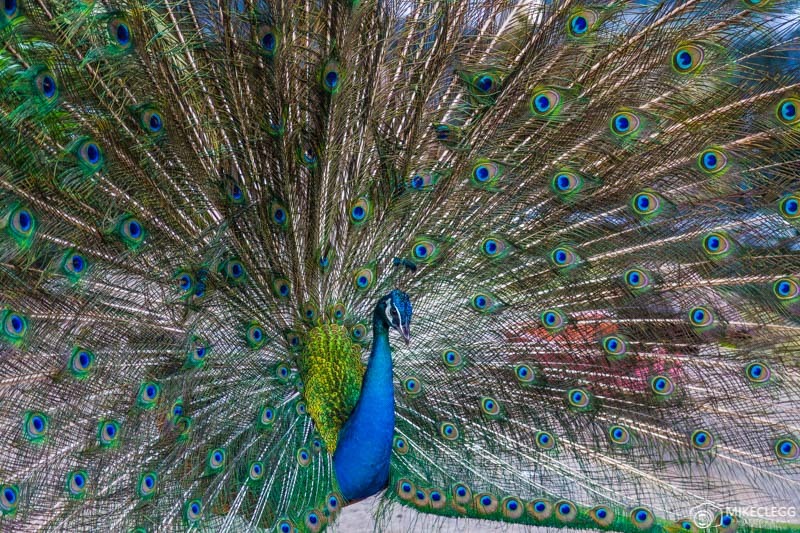 If you like birds or just want to do something different, then visit the Kuala Lumpur Bird Park, which is a huge aviary where thousands of exotic and beautiful birds can fly around freely. At the park you’ll find parrots, peacocks, hornbills, storks, flamingos and many other specifies of birds. It also felt a lot cooler in the park as there are lots of trees and you are a little sheltered, so it makes for a good activity to do during the peak day sun. 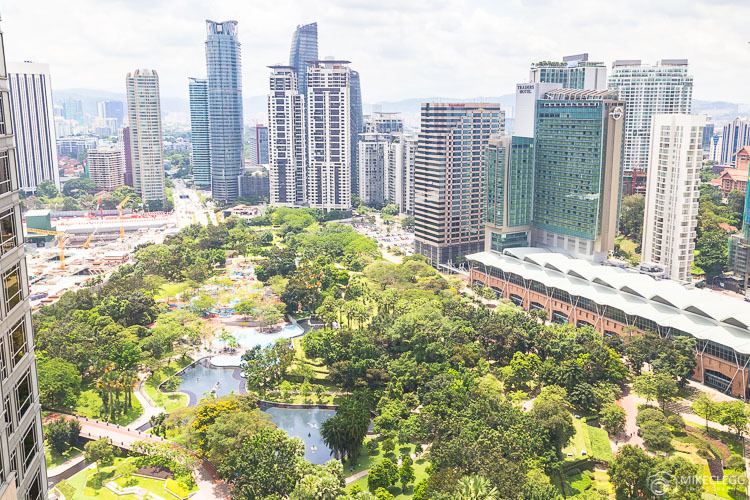 One of the most popular areas in the city is the huge KLCC Park. This park is great to visit both during the day and in the evening. 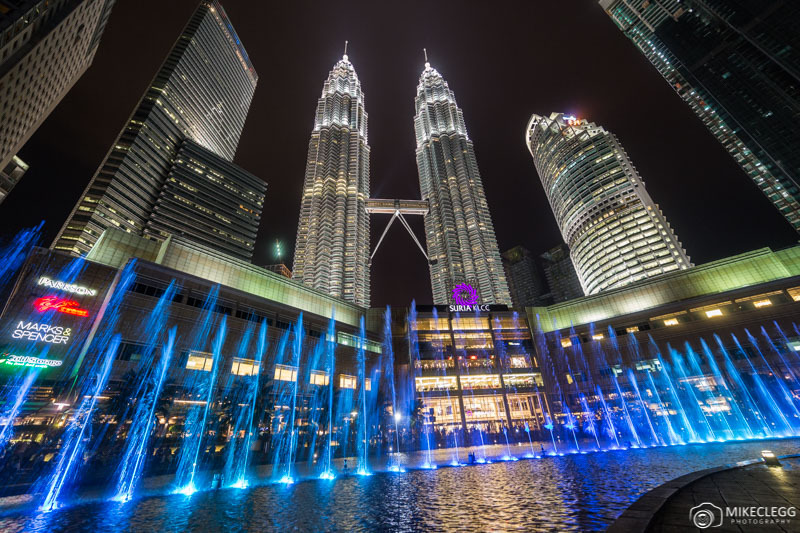 A fantastic thing to see is the Lake Symphony show at night, which is a fantastic light, water and music performance that takes places in the water feature directly in front of the Petronas Towers. For me this was one of my favourite experiences in the city. 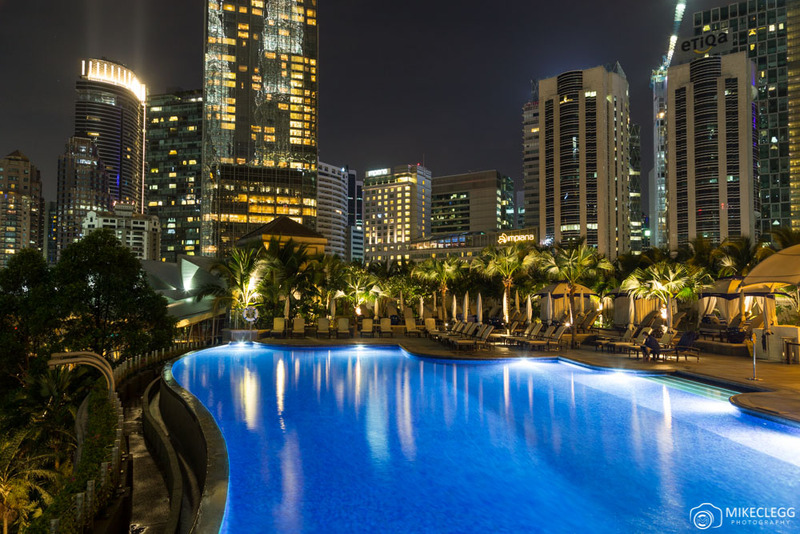 A fantastic spot to see the Kuala Lumpur skyline is from the Skybar at Traders Hotel. This is almost directly across from the Petronas Towers and is great for pictures (see the first picture in this post). At the bar, you can get drinks and snacks whilst enjoying the view, and if you come here around sunset you will probably get the best light for pictures. You’ll find lots more ideas in my other post Top Things to See and Do in Kuala Lumpur. Also, consider visiting the tourism boards website www.visitkl.gov.my. 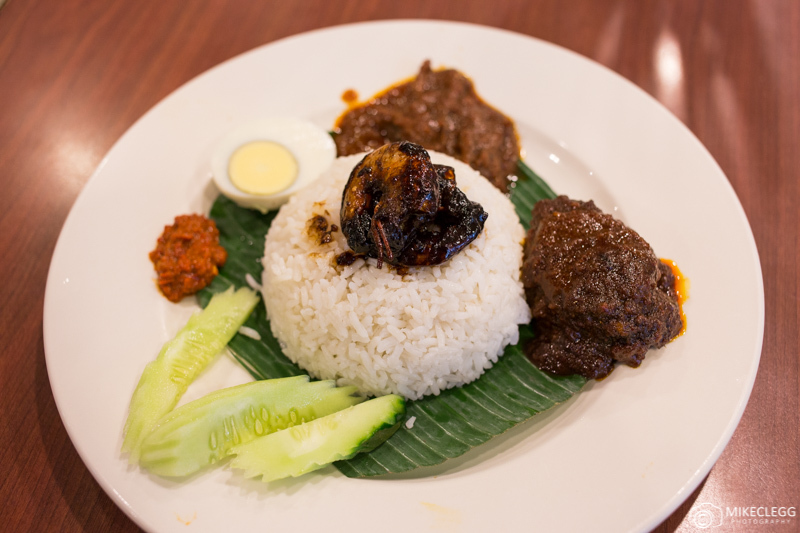 The food was pretty good in Malaysia and one of their national dishes is Nasi Lemak which consists of rice cooked in coconut milk, and served with anchovies, chilli paste and various sides. I also tried seafood Laksa (also a Malaysian dish) which is a bit like a spicy curry soup. I found this dish particularly delicious. 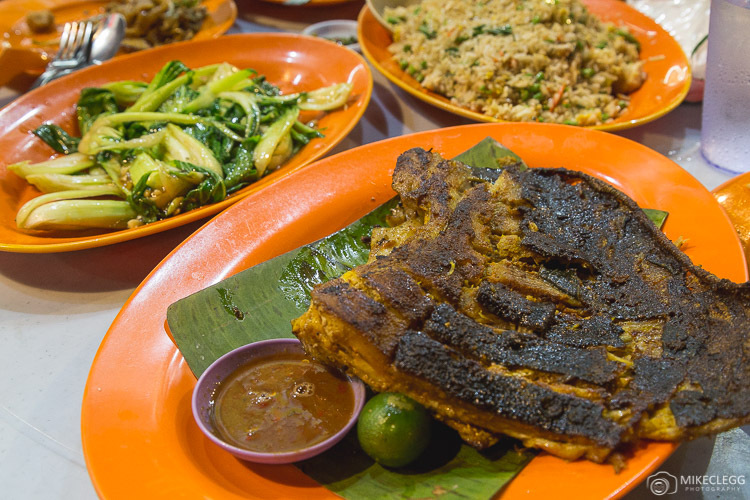 Street food along Jalan Alor – Along Jalan Alor are lots of outdoor street food type restaurants. It was here that I actually had my favourite meal during my trip. The meal (which I shared with friends) consisted of grilled fish, asian style vegetables, rice and other delicious sides. I felt the atmosphere was quite sociable and buzzing and would definitely recommend coming here in a group. 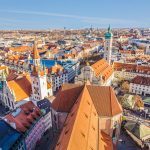 Here are a few places you could stay based on my experience or reviews. Budget – Residences @ Summer Suites (personal experience) – A hostel close to KLCC that even comes with a swimming pool that guests can use. Within the building are also grocery shops and a cafe. From certain rooms you even get a good view over the city. Mid-range The Majestic Hotel Kuala Lumpur (Based on reviews) – This hotel has an average of 9.1/10 for over 3,500+ reviews on Booking.com and also comes with beautiful design and decor. The location is good, fairly close to KL Central, KL Bird Park and the National Museum. Luxury – Mandarin Oriental (personal experience) – The Mandarin Oriental provides luxury at a prime location right next to KLCC Park and minutes walk from the Petronas Towers. The hotel has a wonderful pool, great restaurants and beautiful rooms. Read more and see pics in my post here: A City Break Staying at the Mandarin Oriental, Kuala Lumpur. Find more accommodation options and hotels on Booking.com. From the Airport the quickest way is to take the KLIA Express train which costs RM55 single or RM100 return for adults, and RM25 single or RM45 return for children. It takes around 28 minutes from the airport to KL Central station (In Kuala Lumpur). On heading to the airport there are two stops (KLIA and KLIA2) so make sure you know which stop you need. If you don’t fancy the train you could alternatively use Uber or a local taxi. Within the city is a transport network consisting of LRT, KTM, Monorail lines and bus service. You buy single tokens to get around and pay based on distance. I found the ticket prices seemed more expensive early morning but after around 9.30 were cheaper. You can also get a myRapid cashless card for getting around a bit easier. To read about the fares head to www.myrapid.com.my/fares-and-payments. When buying fares you will need small coins or notes such as RM1, so try and remember to keep change aside for this. To read more about the Kuala Lumpur Metro system and to plan your journey head to www.myrapid.com.my/plan-my-journey. 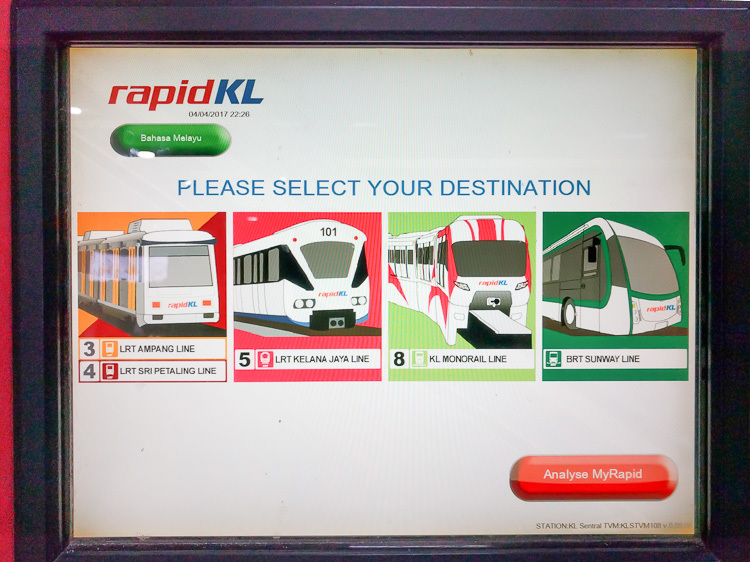 You’ll also find a transport map under the main menu “Traveling with Us” and the option “Klang Valley Integrated Transit Map“. Carry small notes and coins such as 1MYR for getting single subway ticket, as the machines don’t take large currency. Consider using Uber or taxis to get around. Or get these from the subway stations, as everything seems quite far from the stations. Remember to bring appropriate clothing for visiting temples as shorts, short skirts and sleeveless shirts aren’t allowed. 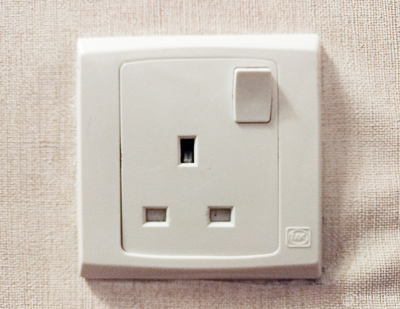 Power supply: – The plug sockets in Kuala Lumpur were of Type G. A good adaptor I use is the Skross PRO World Travel Adapter. You should also check the local voltage and frequency. A site I use is www.power-plugs-sockets.com. When taking pictures of the Petronas Twin Towers use a wide angle lens otherwise you’ll have to stand way back. 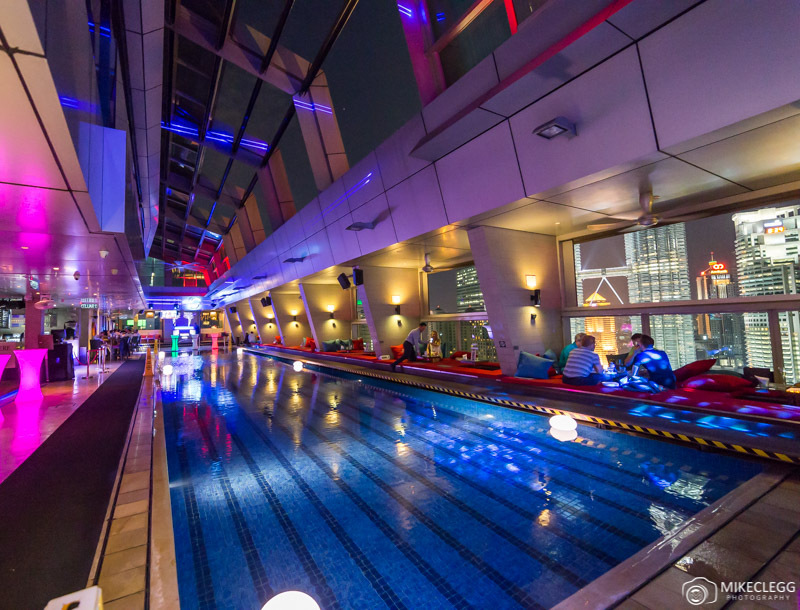 Head up Traders Skybar for one of the best viewpoints of the Towers. Use the lakes such as the Symphony Lake to capture reflections of the Twin Towers. Make sure you head to the KLCC park at night for the fountain performance and when the city lights up. For high skyline pictures visit the KL Tower or stay in a hotel with good views. Why not extend your trip and visit multiple destinations. 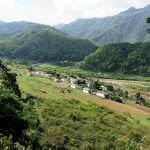 Once in South East Asia you’ll find lots of cheap flights, as well as buses and trains to neighbouring cities. A few cities that are easy to fly to from Kuala Lumpur include Jakarta, Denpasar (Bali), Bangkok, Phuket and many more. 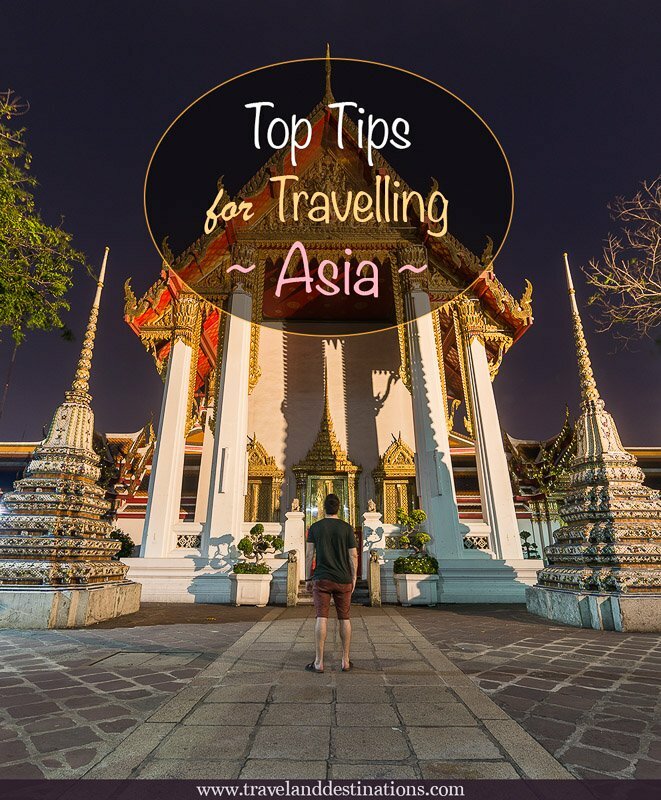 Head to my post 5 Countries in South East Asia for some ideas. Sometimes it helps to take a guidebook on your travels. Below you will find a suggestion that is available on Amazon. 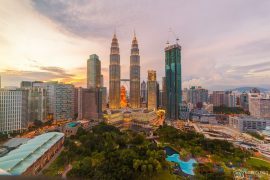 Hey Buddy!, I found this information for you: "City Breaks: Quick Guide to Visiting Kuala Lumpur". Here is the website link: https://www.travelanddestinations.com/city-breaks-guide-kuala-lumpur/. Thank you.